12/30 - Garage Fire – Cedar Point Road – Easton, Md. 12/19 - Fatal MVC – Tractor trailer vs. Car – Route 318 – Federalsburg, Md. 12/18 - Fatal MVC – Pick-up vs. Tractor Trailer – Route 404 – Ridgely, Md. 12/08 - MVC Truck vs. pole – Route 33 – St. Michaels, Md. 12/06 - MVC with entrapment – Shore Highway & Holly Road – Denton, Md. 12/05 - House fire – Atlanta Road – Seaford, Del. 12/05 - Fatal MVC with entrapment – Little Park Road – Easton, Md. 12/04 - Commercial building fire – McDonalds – Centreville, Md. 12/03 - MVC with ejection – Route 213 – Centreville, Md. 12/02 - Serious MVC with entrapment – Tilghman Island Road – Tilghman, Md. 11/21 - Controlled Burn – New Lane – Denton, Md. 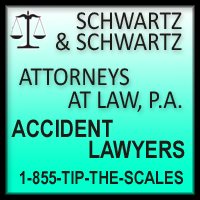 11/06 - Rollover MVC – Whiteleysburg and Brownsville Roads – Harrington, Del. 10/20 - MVC w/ Injuries – Rt. 13 and Columbia Rd. 10/07 - MVC with Rollover – Route 304 – Centreville, Md. 10/01 - MVC with injuries – New Bridge Road – Denton, Md. 09/24 - MVC with entrapment – Shore Highway & Station Rd. – Denton, Md. 09/22 - House Fire – Rhodesdale-Eldorado Road – Eldorado, Md. 09/22 - House Struck by Lightning – Delaware Avenue – Harrington, Del. 09/15 - Building Fire – Town Dock Restaurant – St. Michaels, Md. 09/12 - Talbot Co. Tanker Task Force Drill – Oxford, Md. 09/09 - Fatal MVC – Car vs. Ambulance – Cordova, Md. 08/26 - Working House Fire – East Dover St. – Easton, Md. 08/21 - MVC with Rollover and Entrapment – Vernon Road (DE Route 14) – Harrington, Del. 08/15 - MVC with injury – Ocean Gateway & Chapel Rd. – Easton, Md. 08/12 - MVC – Route 331 & Black Dog Alley – Easton, Md. 08/12 - MVC with entrapment – Rt. 301 & Rt. 304 – Centreville, Md. 08/08 - Controlled Burn – Anthony Mill Road – Denton, Md. 08/06 - House fire – 306 Maple Ave. – Ridgely, Md. 08/04 - Serious MVC – Shore Highway & River Rd. – Denton, Md. 08/01 - Double Fatal MVC – Rt. 8 & Great Neck Rd. – Kent Island, Md. 08/01 - Motorcycle MVC – Farmington Road – Harrington, Del. 07/29 - Controlled burn – Old Denton Rd. – Federalsburg, Md. 07/27 - MVC with rollover – Eveland Road – Hillsboro, Md. 07/24 - Structure Fire – South duPont Highway – Harrington, Del. 07/18 - Drowning – Greenwood Creek – Grasonville, Md. 07/18 - MVC w/Rollover – Deep Grass Lane – Farmington, Del. 07/17 - Garage Fire – Salisbury Md. 07/14 - Head-on MVC with heavy entrapment – Dover Road – Easton, Md. 07/01 - Structure Fire – Cods Point Road – Trappe, Md. 06/27 - House Fire – duPont Highway – Felton, Del. 06/26 - Fatal Accident w/ Rescue – Pittsville Md. 06/25 - Serious MVC with fire – Shore Highway – Queen Anne, Md. 06/17 - Minor MVC – Route 404 & Route 309 – Queen Anne, Md. 06/16 - Accident w/ Rescue – Willards Md. 06/08 - Fatal MVC with entrapment – Route 480 – Ridgely, Md. 06/07 - Serious MVC with Motorcycle – Oakland Rd. – Ridgely, Md. 06/06 - Extriciation Drill – Station 30 – Trappe, Md. 06/06 - Controllrd Burn – Rigby Lot Road – St. Michaels, Md. 06/03 - Students Graduate from MFRI – Centreville, Md. 06/02 - Overturned Garbage Truck – Chilcutt Road – Easton, Md. 06/01 - Controlled Burn – Turner Road – Federalsburg, Md. 05/29 - Serious MVC with entrapment – Shore Highway – Denton, Md. 05/29 - House Fire – 25546 Linhard Lane – Greensboro, Md. 05/28 - Vacant House Fire – Beach Hwy (Route 16) and Owens Rd – Greenwood, Del. 05/26 - MVC with Heavy Entrapment – Route 404 – Hillsboro, Md. 05/25 - Serious MVC – Route 50 & Dover Road – Easton, Md. 05/25 - Fatal Accident – Pittsville Md. 05/24 - ATV accident – Councell Road – Cordova, Md. 05/23 - Controlled burn – Harmony Road – Denton, Md. 05/17 - MVC with Rollover – Tuckahoe Rd. – Hillsboro, Md. 05/15 - MVC w/Rollover – duPont Highway – Harrington, Del. 05/15 - Professional Complex Building Fire – Ocean City, Md. 05/13 - MVC with entrapment – Rt. 328 & Black Dog Alley – Easton, Md. 05/12 - MVC with rollover – Matthewstown Road – Easton, Md. 05/11 - Building Fire – Delmar Del. 05/09 - Accident w/ Rescue – Laurel Del. 05/08 - Natural Cover Fire – Rails and Trails – Easton, Md. 04/27 - Mock MVC – Queen Anne’s Co. High School – Centreville, Md. 04/24 - Housing and dedication of Engine 604 – Greensboro, Md. 04/24 - MVC – Whiteleysburg Road – Harrington, Del. 04/22 - Fully involved building fire – Blackbeard Farm – Queenstown, Md. 04/17 - Controlled Burn – Jackson Ditch Road – Harrington, Del. 04/16 - Chicken Houses on Fire – Woodyard Road – Greenwood, Del. 04/16 - Smoke in the crawl space – Dover St. – Easton, Md. 04/13 - 2 Alarm House Fire – Prospect Bay – Grasonville, Md. 04/02 - Chicken house fire – 11756 Ridgely Rd. – Ridgely, Md. 03/29 - Fatal MVC with ejection – Route 309 – Centreville, Md. 03/28 - Controlled burn – 11030 River Rd. – Denton, Md. 03/26 - Smoke Detectors and Food Collection – Claymont, Del. 03/21 - Serious MVC with motorcycle – Main Street – Hillsboro, Md. 03/20 - Head-on MVC with fly out – Route 213 – Centreville, Md. 03/20 - Two Alarm Barn Fire – 27580 Burrsville Rd. – Denton, Md. 03/10 - Silo fire – 9284 Chenar Farm Road – Easton, Md. 03/10 - House fire – 12121 Greensboro Road – Greensboro, Md. 03/07 - Fully involved house with 4 people trapped on 2nd floor – Goldsboro, Md. 03/07 - MVC with reported entrapment – Ocean Gateway – Wye Mills, Md. 02/26 - Accident w/ Injuries – Truck into House – Salisbury Md. 02/23 - MVC with injury – Route 8 – Kent Island, Md. 02/22 - MVC – Truck gets wedged between bridge walls – Wye Mills, Md. 02/21 - Accident w/ Rescue – Millsboro De. 02/21 - Working house fire – 520 Old Denton Rd. – Federalsburg, Md. 02/15 - Several buildings collapse – Talbot and Caroline Co.
02/06 - Working House Fire – Delmar De. 02/05 - Overturned Propane Truck – Locust Grove Rd. – Easton, Md. 02/03 - Barn fire – Wades Point – St. Michaels, Md. 02/01 - Building Fire – Cafe Milano, Delaware Avenue – Harrington, Del. 01/30 - Apartment fire – N. Washington St. – Easton, Md. 01/29 - 3 Alarm Fire – 3 houses involved – Broad Street Crumpton, Md. 01/23 - Furnace fire with extension – Goldsboro, Md. 01/21 - Chicken house fire – 4288 Laurel Grove Rd. – Federalsburg, Md. 01/20 - Explosion results in fully involved house fire – Beach Harbor – Grasonville, Md. 01/11 - Fully involved house fire – Melvin Rd. – Denton, Md. 01/11 - Engine 26 side swiped by trator trailer – Grasonville, Md. 01/09 - Controlled Burn – Allen Md. 01/08 - Accident w/ Injuries – Delmar Md. 01/08 - House fire – Rolling Bridge Rd. – Centreville, Md. 01/05 - Fatal MVC with ejection – Rt. 301 & Rt.304 – Centreville, Md. 01/05 - MVC with injuries – Rt. 309 & Alt. 404 – Queen Anne, Md. 01/05 - MVC with minor injury – Chapel Rd. & Black Dog Alley – Easton, Md.